WeChat Features : Drift Bottle, Shake, Look Around, WebGrab Explained | Free Pc to Phone Calls, Free Voip Calls to India International ! 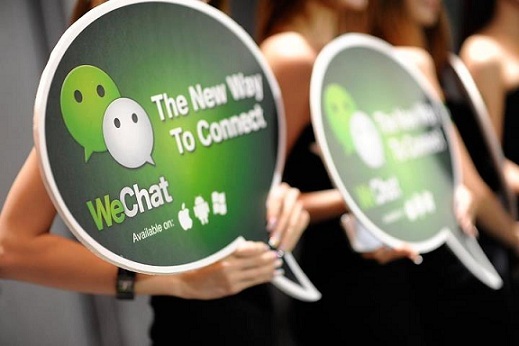 WeChat is certainly creating lot of buzz around. Even if you have not tried WeChatApp, still I am sure you must have seen its advertisements on facebook. Lot of my friends have started using wechat on their smartphones and kinda liking this app over Whatsapp and Viber. We have also posted one review about the WeChat application, and it was liked by many of our blog readers. Many people have asked us if their is something unique about this new application that they should make a switch to this app. Why is it creating buzz in social media. Is it coupled with facebook or has any social media features. Well the answers is yes, as we posted in our earlier posts about WeChat. There are these four kind of unique and interesting features, which you should be aware of. Lets talk about them in detail. Your smartphone has GPS and WeChat take advantage of this GPS to get your coordinates. It then looks upon the coordinates of other WeChat people and tries to find the people close to you. So its simple one click to find other WeChat users around you. You can use this feature to find strangers around you and vice versa (that is allow them to find you). So use this feature with care. You can enable/disable it from privacy settings. Nonetheless, it seems pretty good feature. Say I went to a holiday, and want to know if any of my friend is also there (nearby), then simply use this feature !! If used in a positive way, this can be a great feature. I am not a big fan of this feature, but surely it is catching attention. This feature lets you find people (anywhere in the world) who are also shaking their phones at the same time. Then you two can connect to each other. Logic behind this is two people doing the same task at the same time. Interesting, may be .. This is again one unique feature. You have some message that you would like to share with anyone. You pack that message in a drift bottle and send it (throw it) into the sea. Someone sees that a drift bottle is lying in the sea, picks it up and replies back to you. Another cool and unique way to connect. In simple words, you send a message and eventually someone will reply back to you. - Select "Social" -> "Drift Bottle". (note: you may need to enable Drift Bottle from "Settings"->"Plug-ins" first in order to see it). - Select "Throw" to send out your voice or text message, then wait to see you will pick up your bottle and reply. - Select "Pick" to pick a drift bottle from the sea. You can reply to it or throw it back to the sea. Sometimes you may get a starfish. Just try again. This is one feature which I feel is highly useful. There are many times that you found something interesting and want to bookmark it and read it on phone. Well either you need to remember the exact web address or save that web address somewhere and then open in on your phone. WeChat app understood this requirement quite well and found a good solution. Use WeChat Web Grab to save the link on your browser and send it your phone. You can grab a web page or even a picture. You need to install the web grab on your computer (browser) and link it with your WeChat mobile application.